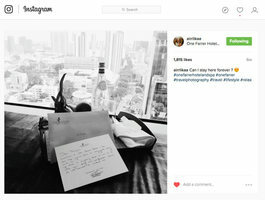 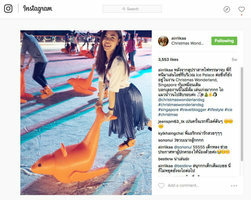 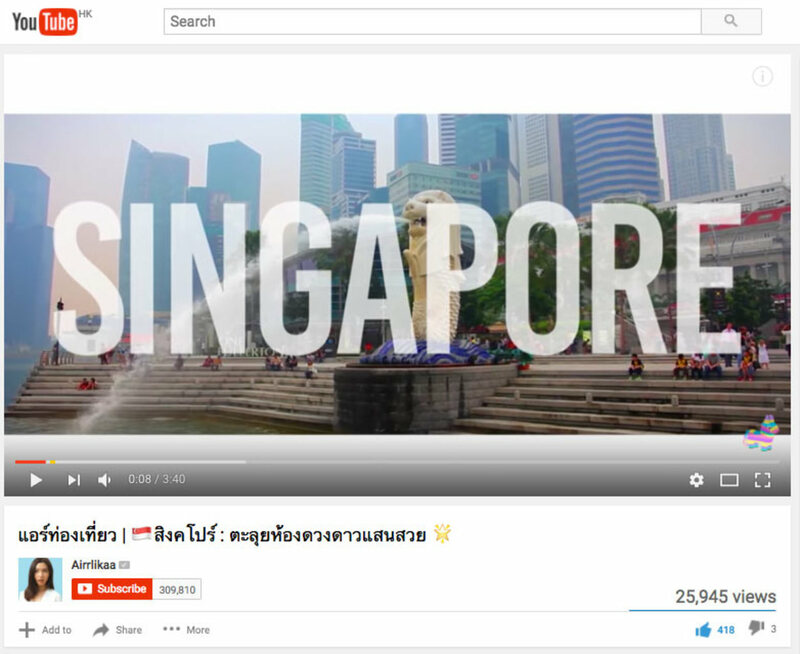 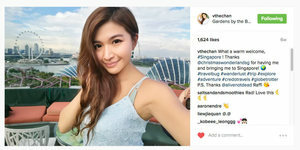 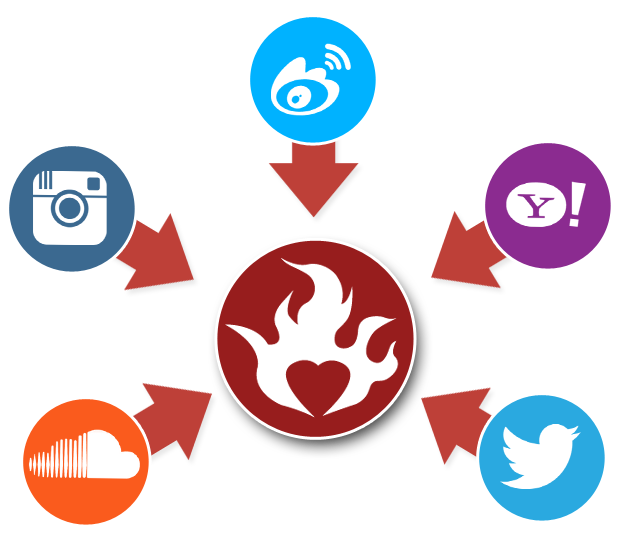 alivenotdead.com helped connect the Singapore Tourism Board and their marketing agency with two high profile social media stars to generate social media content about the Christmas Wonderland event in Singapore in December 2016. 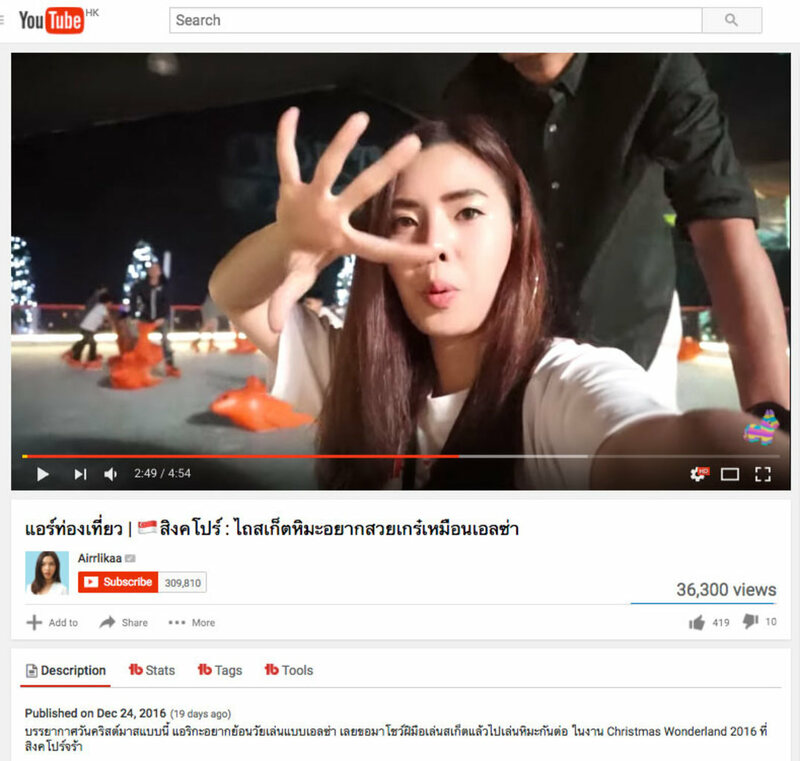 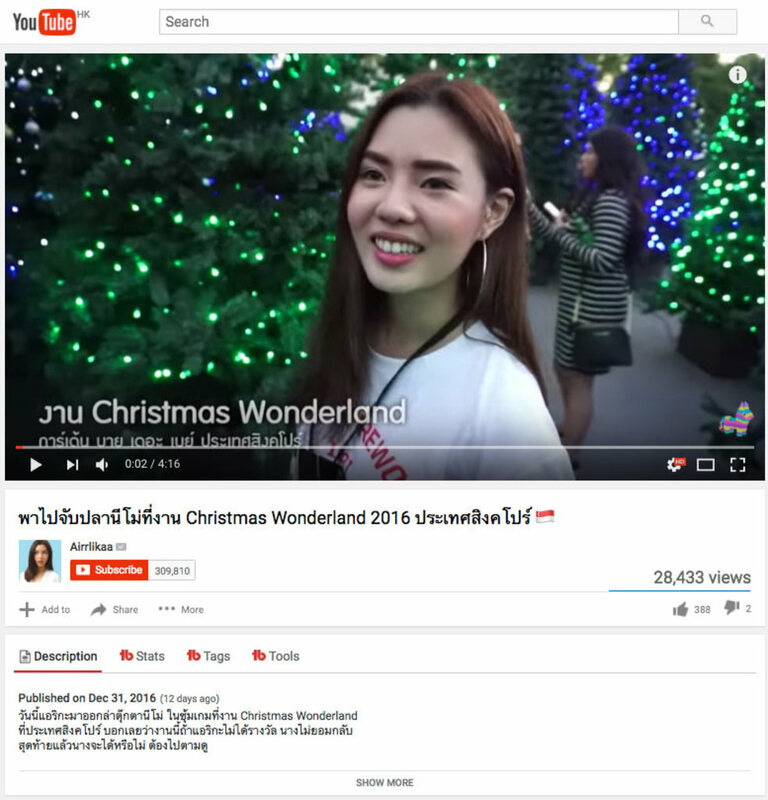 We helped bring two artists, well known Thai YouTuber Airrlikaa and Hong Kong actress and former Miss HK finalist Vicky Chan to Singapore for a trip that included attending the open night of Christmas Wonderland 2016. 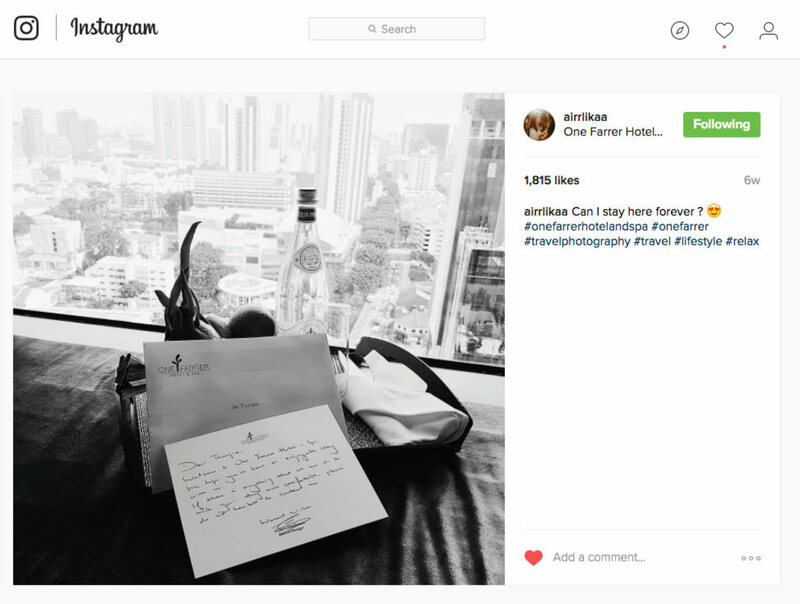 We include a few screencaps of their Instagram posts as well as from Airrlikaa's YouTube videos from the trip. 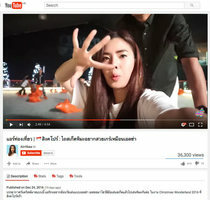 The two artists received over 15k likes and Airrlikaa's videos have received over 85,000 total views on YouTube alone in the first 3 weeks since release.